Concluding our blog series entitled Top 10 Title Tag Tips | How to Write Good Title Tags, below, some final important tips will be revealed and discussed. Tip 7 – Keep it relevant to the content. While these title tag tips can help you improve your on-page SEO, contact Epic Web Results for experienced help optimizing a site and realizing the best results from it. Guide more users into the conversion funnel. Tip 8 – Make it enticing to readers. Why should anyone read the page of content you are writing a title tag for? What is the most enticing or compelling element of content on that page? If you can sum this up in a title tag, you can make it a powerful hook for users. In fact, when it comes to spicing up title tags and making them as appealing as possible to users, including “lists” (like top X lists) and “how tos” can be helpful. Ultimately, however, make sure you write a title tag that you would find compelling. If the title is not something that you would click on in SERPs, go back to the drawing board and revise the title. Tip 9 – Write unique title tags for each page of content. Your title tags should be unique for each page of content – including blogs, articles, etc. – on your website. While duplicating title tags can indicate that you may be duplicating content on your site (which should be avoided, as it can lead to penalties, etc. ), it can also reveal that you may need to target new or different keywords that more accurately reflect the content for a particular page. Tip 10 – Brand your content in the title tags when possible. When possible, it can also be a good idea – in terms of the user experience – to include the name of your firm or company in title tags (ideally, after a pipe following the most relevant keyword/keyword phrase). Although this may not be appropriate for every page on a site (or for some sites in general), it can be a powerful way to brand your content, especially if that content has been well written and may be shared/distributed widely in places like, for instance, social media. Are you ready to design, update or optimize a website? 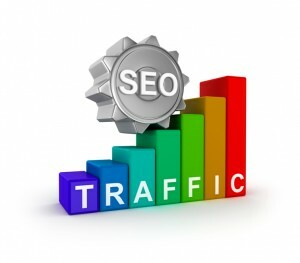 If so, it’s time to contact the skilled industry professionals at Epic Web Results. Our extensive experience developing the best possible online results for our Clients means that we consistently provide a variety of cost-effective Internet marketing solutions that can ultimately help grow our Clients’ businesses.